December 2012 Registration Deadline Coming Soon - Don't Forget! 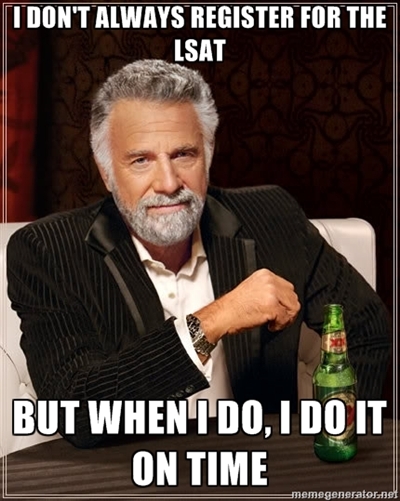 The registration deadline for the December 2012 LSAT is October 29th. That's this Monday. Don't forget to register. If you're on the fence about a retake, don't wait to get your scores. Register now. If you don't need to retake, you can get a partial refund. This is important, it's worth losing a small fee to be sure you're registered. The refund deadline is November 9th, 2012. There is a late registration deadline on November 9th, but it's more expensive and there's no guarantee you'll get a seat. 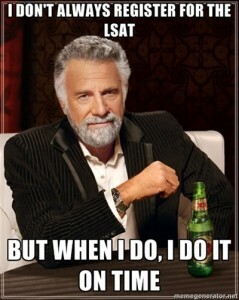 The December 2012 test date is Saturday, December 1st. Have you ever missed a registration deadline? Let us know in the comments!